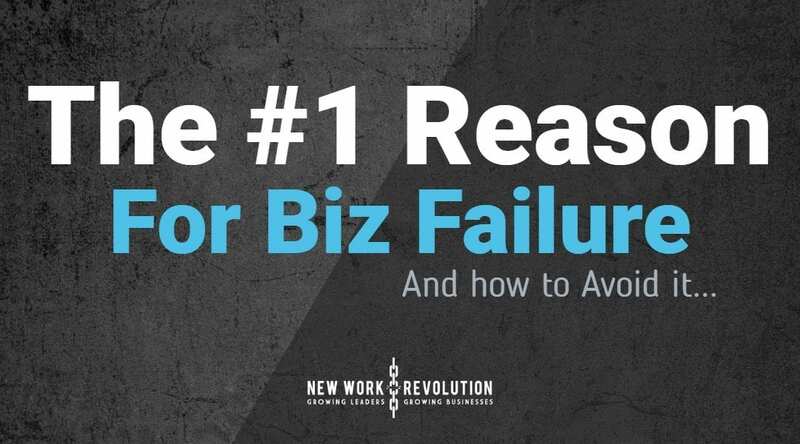 Why do 90% of Small Businesses Fail? You often hear that the vast majority of small businesses fail – something like 9 out of 10 won't last 5 years (or whatever the current buzz statistic is). Regardless of accuracy, there is no question that entrepreneurship and small business are difficult endeavors. 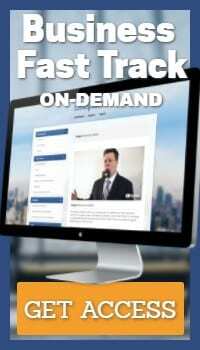 There are many pitfalls that you should watch out for – but what is the #1 reason? The big nasty pitfall that is most common? Yes sir, you heard it hear folks, your business, just like your marriage (or other loving relationship), will be stronger and more successful if you build deep, understanding relationships. Understanding your customer's real needs and wants. Well my friend, unfortunately you probably have been standing on the wrong side of this coin for that time. As the industry expert practitioner, not the end user, you bring a different perspective to the table. It's still very valuable but not the only perspective we need here. So don't start by assuming you know your customer. Don't simply draw from your own well of experience as it is all tainted by your own perspective. Just like you shouldn't assume you know how to fix your spouse! (good luck with that one). So how does this qualify as #1? Well, I estimate it is related largely to how far-reaching its effects are fealt. A deeper understanding of your customer, their challenges and wants, and their context could shift everything – not always by a lot – but sometimes a few millimeters can make all the difference. Your marketing message may change – the tone you use, what you offer as a free bonus, the problem you talk about, the nature of the outcomes to be expected, etc. Offering to solve real, fealt problems and challenges in a way that fits will be a much easier sell with much stronger life time value (even if the initial sales pricing shrinks) as they become repeat, long term customers. How you position your product or service and to whom may shift. You might focus on becoming the known expert in a niche instead of an industry generalist. The use case of your products and services may shift – how they are used and by whom. The process to roll out and deliver the product/service can change to better accommodate your customer and deliver a more “referrable” experience, improving repeat buyers as well as organic growth. As you can guess by this point, all those little adjustments can add up to a lot and completely shift the tide from failure to success! Sometimes the shifts might be significant changes but they don't have to be to change the course of your business. I have a small bathroom in the top level of my home that we rarely used and the shower didn't function properly. We decided a few months ago that we would remodel the top level to include our master bedroom. This would be a big project and happen in phases over the course of a few years likely. The bathroom was to be expanded and completely redone but would be the last “phase” of the project. First, we needed to simply make it usable by fixing the shower. I called a couple plumbers to come look at it and give me a quote to replace the shower (valve, fixture, etc.). The first plumber was very professional and polite, put booties on his shoes to walk in, explained everything on how it worked, told me to replace the valve and get a new fixture would be X and they could do it in a day or two. He gave me a full written breakdown on options and was excellent to work with. The second plumber didn't put booties on his feet. He didn't have a nice uniform, didn't give me the full run down on how it worked, and didn't give me a written quote. In fact, he kept saying that it would be difficult and a lot of work to do it due to the position in the wall, etc. He was still very nice but not nearly as buttoned up and professional. Well, I chose the 2nd plumber! (and not due to price though I'll discuss further) Surprised? Well, I left out a key detail here so unfair contest. The 2nd plumber after looking it over and hearing me out began asking some simple questions. He asked me what my plan was for the bathroom and upstairs long term. I explained the full long-term remodel plan. He then looked at everything closer and instead of offering what I initially asked, he proposed an alternative! Due to our plans, we would eventually be ripping out the shower and redoing it anyway so instead of replacing it, he suggested to simply repair the valve and replace shower head with one I already had (just an extra lying around from previous things) which would make it fully usable while we prepared for the larger renovation when we could roll the time and money saved into the bigger project and get what we really want. His price to fix ended up being 1/5th the cost of a full replacement and met our needs much better! Was it cheaper? Yes it was but that isn't the point. When we redo the whole bathroom which will be thousands more than either bid, guess who is getting the work!? I now consider him “my” plumber. Is the professional polish not needed? Well, It is definitely a big win to have the professional, clean experience and I would highly recommend it (even to my plumber) BUT its not the most important part. The key is understanding – a real relationship. So how do we get to know our customer and not simply assume all the time? Its actually pretty simple and not even necessarily difficult. The biggest challenge (which can be a pain in the @$$) is we get in our own way. Its just too darn easy to default to our own assumptions (I mean, they are experience-based educated assumptions after all). In the end, the goal is really to develop our understanding on an ongoing basis so when we do need to make some decisions, those assumptions may have some accuracy to them. And, over time, become more and more accurate. Also, this ritual of customer conversations as a key secondary benefit of keeping you close to shifts and changes in your market. You have the opportunity to be more agile, to adjust to changing market conditions and take advantage of opportunities. A powerful solution we use is called “Market-of-one” interviews as it is simply a customer interview with the idea that they represent a market you serve. It is an alternative to methods like focus groups which tend to be expensive, have group think issues, and introduce unintentional fabricated responses (people want to help even if they don't know so they make stuff up). Here is how it works. Did you look at other alternatives? Did it take you a while to make a decision? if so, what was the hold up? Any issues with the process? confusion? concerns? The key here is to probe a bit. Ask “why” up to 5 times to get at root causes. Generally, the interview should be fairly free-form. Run down a rabbit hole or two, allow the feedback to guide the questioning to gain deeper insights. Also, these interviews really should be performed by the owner/CEO, or as close to the top as possible. This allows better leadership-driven decision making as well as a much stronger market awareness. It is a great antidote to “ivory tower” syndrome that can occur as organizations grow. As an addition to Market-of-One interviews, broader reaching surveys should be used throughout the customer experience. During signup and on-boarding, ask a few common questions to note trends and market needs. Throughout the process or use of your product/service, ask for feedback. And following completion, ask again. The medium isn't important, whether email, written, verbal, etc. just make sure you can record and note the response and collect them for analysis and review. Keep them short generally – just a few questions. Use similar questions to the interviews but feel free to seed in others that may be more honestly answered without being awkward. Net Promoter Score may be a good one to include here. Gaining a clear contextual view of your customer is a key point that cannot be over-emphasized. What does this mean? Essentially, if we don't understand the context of the situation, we can grossly misunderstand the feedback and insights we get! example: If you see someone give a dollar to child on the street, you could derive several drastically different conclusions. Is this an altruistic stranger just helping out a homeless child? Does he owe the child a dollar previously borrowed for some reason? Is he buying something? Is this a parent giving their own child a dollar? We need to know more about the situation to make the right call. When/where does my customer experience the problem? are they home, on the go? traveling? Is the situation positive or negative? falling on hard times or happy life events? When/where does my customer use my offering? When/Where does my customer interact with me? with others like me? with alternatives? Who is my customer? Is the buyer/user different? Are there multiple decision makers involved? Let's wrap this up quick! At the end of the day, your business' success largely rides on how well you understand your customer – their pains, aspirations, desires, and the context around it all of that. Don't fall prey to the number 1 business killer – make it a ritual to know your customer. At New Work Revolution, we utilize a process called “Total Experience Design” to help businesses build better relationships with their customers and teams alike. As part of our own efforts to learn about our clients and their needs, we offer a limited number of free reviews each month. These not only help us learn from you but allows us to give our perspective on how you can implement better Customer Learning strategies. This may include developing solutions, discussing survey and interview questions, and more. If you'd like to apply for a free review, click here.